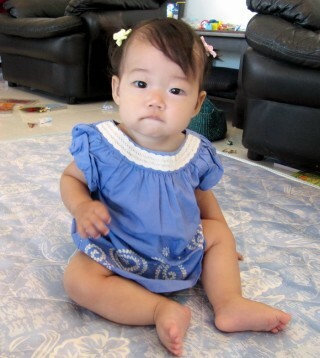 This photo makes me want to kiss and kiss her chubby cheeks! I miss baby-kisses! Oh Sweet Baby! Piggytails already and she’s still getting cuter by the second! she looks so much bigger!